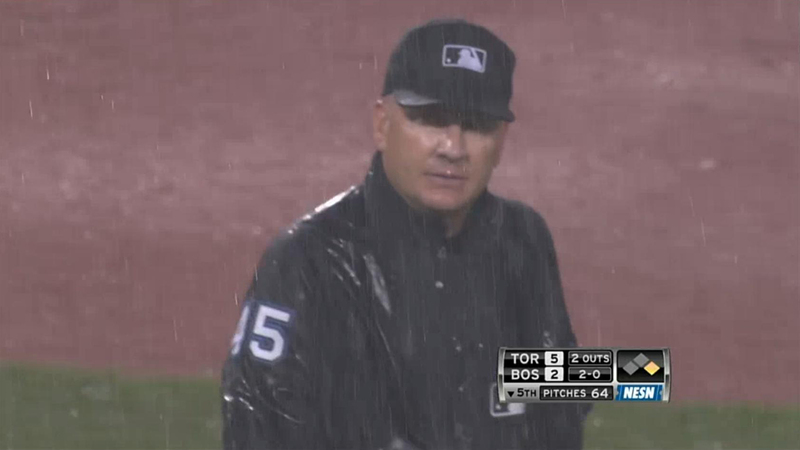 The Red Sox mustered only two runs in this drawn out game of drudgery and downpours. Scott Podsednik and Pedro Ciriaco had RBI singles in the fifth. Podsednik drove in Mike Aviles, who reached when his ground ball deflected off Adeiny Hechavarria. 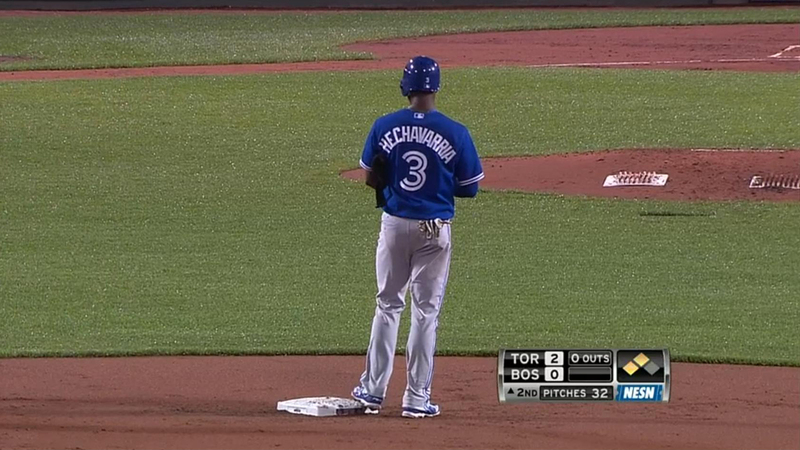 Don Orsillo and Jerry Remy had fits with Hechavarria’s name. It is a Spanish cognate of the Basque surname and place name “Etxeberria,” which means “the new house.” According to Wikipedia the name is associated with new farms created after the introduction of American crops such as corn and potatoes. Hechavarria didn’t hit any taters but his teammates Yunel Escobar and Anthony Gose (his first major league homer) did. The hardest workers on the field last night was the grounds crew. They had to remove the tarp more than twice even though there were two rain delays. Maneuvering the tarp multiple times was the only way to remove all the water that had accumulated on it. The crew also had to transform the sopping infield into a playable surface and did so. Sadly only the Blue Jays took advantage of the improved basepaths.